Budgeting as a couple has its many pros and cons. Individually, we have to move on from the mindset of caring only for our own financial needs to balancing your budget with the needs of your other half. Once a couple is able to move past this mindset, they become teammates in this long and tough journey of saving up for the future. Seedly wrote an article on how one can allocate his monthly salary using the 50/30/20 formula. If you are new to budgeting, figuring out where to allocate your paycheque can be overwhelming. Not only do you have to categorise all your expenses, but you also need to make difficult decisions on each tiny details. While we cannot give you and your partner a hard-and-fast rule to allocating your money, you can start off with a simple rule of 50/30/20 with your partner. 50% of both your income should go to your needs. They consist of things such as your bills, groceries, utility bills, transport etc. This is the cost that is incurred every month without fail, and you should try to keep it at 50% of your income. If you are looking for ways to trim and make more room in your budget, this is the best category to do so, e.g. that Netflix account that you seldom use. 30% of both your income will be for flexible spending. Flexible spending includes things such as your hobbies, movie tickets to the latest blockbuster or your Friday night booze sessions. Whatever is left of this 30% will go to your savings. Channel 20% of both your income towards savings for retirement and rainy day funds. Copy the free template of the excel Sheet For 50/30/20 rules for couple here. 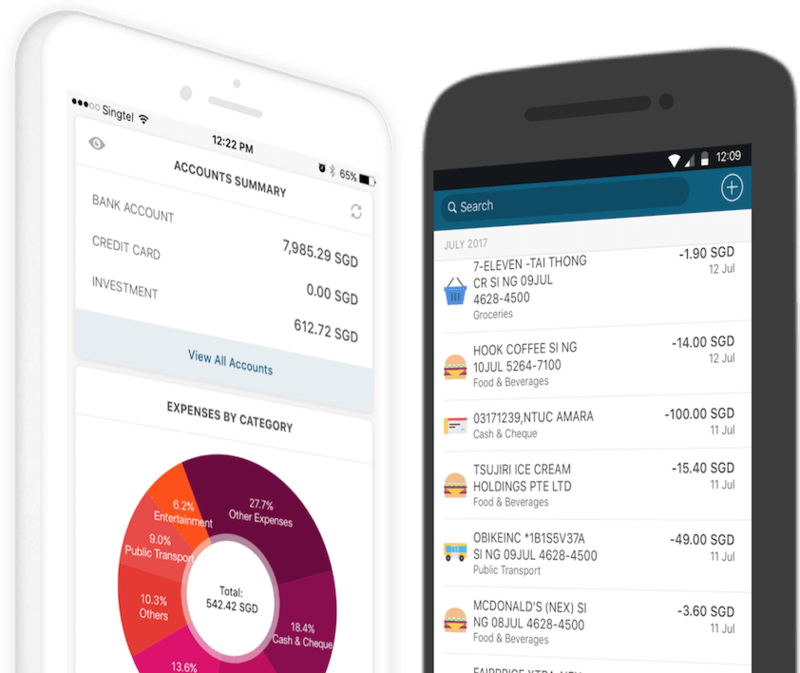 If you and your partner are on a joint account, simply use an automated budgeting app like Seedly to track the expenses for that account. What To Do With The 20% For Retirement Savings? We run a simple example to demonstrate how powerful this 20% is. Young couple who just kicked off their career with a monthly salary of $2,800 each. After a contribution of 20% to CPF, they take home $2,240. Assuming no change to their salary for 10 years. We have here a lazy couple and they are doing the bare minimum for their retirement savings. With a take-home pay of $2,240, each of the couple will contribute 20% of their take home, which works out to be $448 for their retirement savings. Each of them set up a Regular Saving Plan for STI ETF with the bank, and invest the minimum amount of $100 each month. They put the remaining $348 into their POSB eSAVINGS account and do nothing. The annualised return for the STI ETF is about 6.61% inclusive of dividends. In 10 years time, the amount the couple will end up with $34,706.77 from their Regular Saving Plans contributions. As for the remaining amount they save in their POSB eSAVINGS account every month, it will accumulate to $8,352 every year. In 10 years time, at the interest rate of 0.05%, they will end up with $83,750 in their bank. With minimum effort and sticking to the 50/30/20 rule, the couple managed to save an extra $118,456 together. Now, think of what happens if they get more financial savvy along the way coupled with the pay increase over time.